1. Activation : Was extremely prompt and smooth. Happened within 24 hours from the nearest Reliance World customer service center. 2. Customer Service : Easy to reach, technical service team calls back to troubleshoot. There are regular call reminders to pay the bill (which is irritating but also necessary sometimes). 3. Billing : This is one of my main irritants. You can opt either for bill through e-mail or hard copy. That is either/or. Not both. I need a physical bill for my tax purposes and I cannot see why they can't email me the bill too. It would not cost them anything! 6. 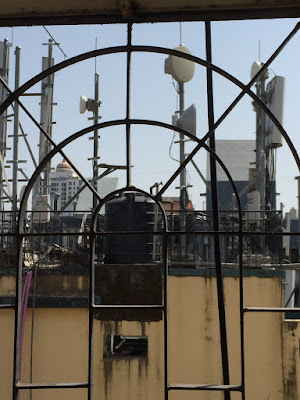 Tariff plans and pricing : I frankly find it expensive and the tariff plans as per Reliance philosophy focus on collecting a minimum monthly revenue per user. Not really economical for an occassional user like me. When 3G comes in, if I get a good plan with tethering (allowing me to use the phone as a modem), I would probably ditch this. My Samsung Wave has the ability to function as a wireless access point for upto 5 devices so I would actually be able to surf with a 3G connection on my laptop without needing a wire. Push sync or customised sync : which do you use? I prefer QWERTY to touchscreen, what about you? Europe gets bada update, what about India? Android the next big thing in India?